Sports nutrition is the study and practice of both the diet and nutrition in conjunction with athletic performance. Sports nutrition regards both the type and the quantity of fluid and food digested by an athlete. Sports nutrition tends to deal with nutrients in the shape of vitamins and minerals as well as supplements, which come in the form of organic substances such as carbs, proteins and fats. Although Sports nutrition plays an important factor in any sport or training regime, it is most associated with strength sports, such as bodybuilding and weight lifting exercises. Sports nutrition is also considered in endurance sports, such as cycling, swimming and running sports. Diet has been a part of sports training for centuries now, even the Romans and Ancient Greeks took it on board when they introduced the Olympic games. All of the athletes involved had their own special regime for great performance. This particular procedure included both diet and nutrition. Sports nutrition has however changed dramatically since then and has in turn evolved dramatically. Scientists and nutritionists are forever researching more and more about this interesting subject. Research previously conducted shows that the coupling of exercise with a balanced and healthy diet works to both produce and maintain a body that is physically fit. 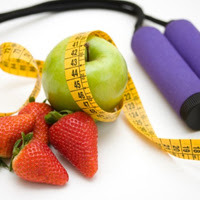 This in turn will prevent the body from becoming ill. Sports nutrition and a healthy lifestyle will also aid in the prevention of chronic illnesses such as non-insulin-dependent diabetes, hypertension, coronary heart disease, osteoporosis, obesity, mental health, stroke, colon cancers and back injuries. All of the above can be caused by a poor diet and an unhealthy lifestyle. If you wish to cut down on a certain bad habits, take it one step at a time in order to rebuild your body back to a healthy state. Try out the Maxifuel sports nutrition to see if it benefits you.